In my classroom I focus on friends of 5 and 10 (all the ways to add up to 5 and 10). I use Park Math and a couple others (I reviewed them already here http://digitalkindergarten.blogspot.com/2011/01/teaching-tools-math-app-park-math-and.html) to teach K math skills. 41 launches and only 2 medals? My toddler has been helping me! Rocket Math (made by Stack the States and Stack the Countries developer Dan Russell-Pinson) takes place in, you guessed it- space. The player builds a rocket (many design options to interest kids and make them think about physics as well) and attempts to launch it into outer space. You purchase parts when you solve math equations (chose from easy, hard+,-,x,/) to earn money. 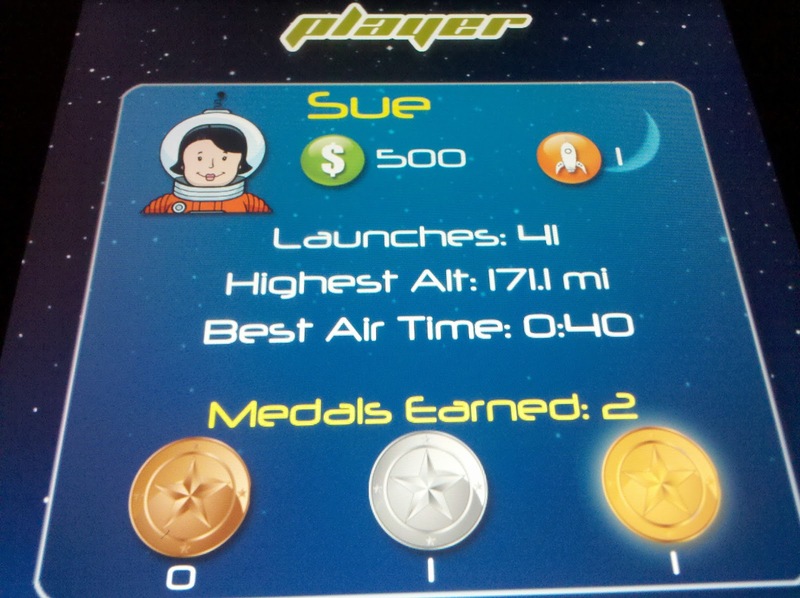 If you successfully craft a rocket that can make it into space (not easy for the non scientific minded like me) you earn a medal depending on how well you know math subjects like money, odd/even numbers, patterning, etc. Features: Up to five player profiles, ability to work out a problem on a scribble pad, great graphics and a really fun balance of math, creativity, science! ***** 2.) allow for differentiation to meet each child's learning needs. 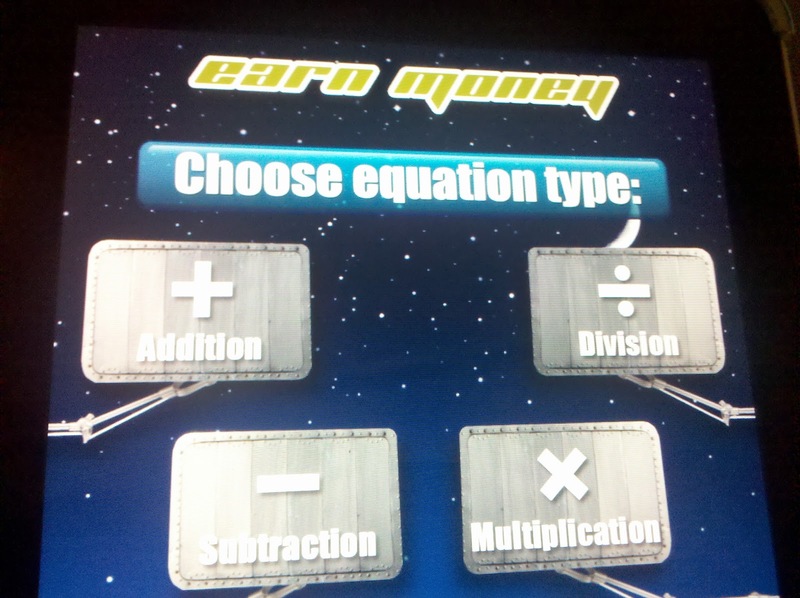 (Can choose from 5 (free version) 8 (full) missions when rocket is successfully launched- such as money, time, shapes... and add,subtract, multiply, divide to earn money) and 6 levels of difficulty. ***** 3.) motivating reluctant learners. (My 7 1/2 year old chooses to play it on his own even with non-educational games on his iPad). Others to check out- my husband says I need to clean my house and get off the blog, plus my child is out in the snow and I haven't heard from him in a while and we all know how dangerous silence is! so I am not going to go into detail... yet. 3. Times Tables (4.0/5) good drills along with modeling of how multiplication works. Again, try the free version but I think it's worth buying. 4. Math Circus- (4.0/5) not a practice app, but rather it has short clips that teach about multiplication and various strategies that can be used. I make my son watch it (HE LOVES TV) when he struggles to multiply his 7's and 8's. 5. Math Ninja (4.5/5 stars)- FUN! throw ninja style weapons at robots who are attacking- earn more weapons by completing math drills- add,subtract, multiply, divide. My favorite feature- if you get the answer wrong, it tells you the correct solution and you type it in. I HATE (bad me, I'm trying to not use HATE! but we are all adults here right?) apps that simply move on to the next problem. Free version available, but of course I ended up buying this one.